MrsChadT: Supendous CTMH Sale - Don't Miss Out! For all of you Black Friday, Small Business Saturday, and Cyber Monday shoppers, I'm having a sale that lasts more than just one day! Be sure to tell your friends! The deals you see below are good through Monday, 11/28. So you have 3 more days to shop and save! Have you been thinking about getting a Studio J Membership? Have you been eyeing the Art Philosophy Cricut Bundle? Whatever is on your Christmas list this year, now is the time to get it! Check out all of the great deals below and email me your order no later than 11:59pm Monday 11/28 to take advantage of these great offers! Receive a free Dye Ink Padof your choice ($5.25 value.) This also entitles you to receive the Stamp of the Monthfor $5! If this order is $25 worth of stamps you will receive the Holiday Wishes stamp set for $5 as well! 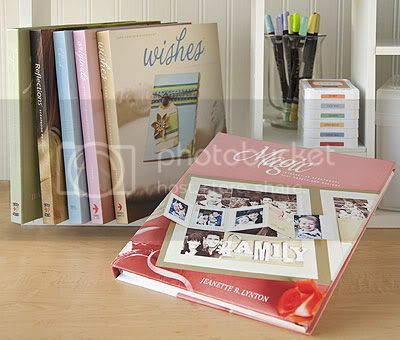 Receive an A size stamp set of your choice, or a cardstock shade pack of your choice (up to a $7.95 value.) This also entitles you to receive the Stamp of the Monthfor $5! If this order includes $25 worth of stamps you will receive the Holiday Wishes stamp set for $5 as well! 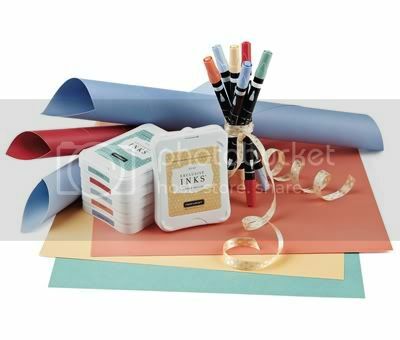 Receive a free B size stamp set or Level 2 Paper Pack of your choice (up to $9.95 value.) This also entitles you to receive the Stamp of the Monthfor $5! If this order includes $25 worth of stamps you will receive the Holiday Wishes stamp set for $5 as well! Be sure to email me your order by clicking here. 1. Email me your order. Please include CYBER MONDAY ORDER in the subject line. 3. I will send you a invoice for your complete order total including shipping ($7.95 or .0795 - whichever is greater - of product total). 4. Your order will be delivered via CTMH Corporate Office in time to wrap up for Christmas, and your name will go into the drawing for the FREE Magic How-To Scrapbooking book or WOTG to be announced Tuesday 11/29. *Note: these are my own personal specials and will not be honored by the Close to my Heart Corporate office.